This is an experimental version of Teleios. 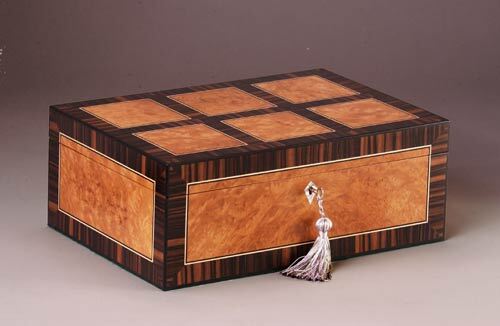 The fields are Mandrona Burl framed in Macassar Ebony on a core of solid Mahogany. Gaboon Ebony is inlaid at the edges. The working English lock has an Abalone escutcheon.